As if not to be left out behind, Samsung is also joining in other big names in the digital camera market that are introducing software 3D photo features to their compact digital cameras that do not feature dual lens and sensors to make them true 3D cameras. 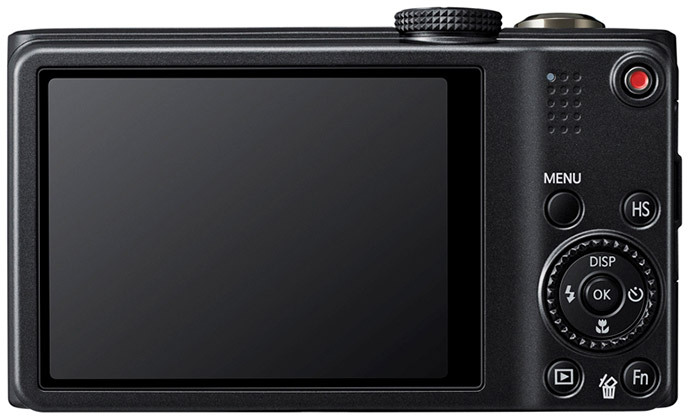 The upcoming Samsung WB750 comes with a 12.5 Megapixel BSI CMOS sensor, features an 18x optical zoom with both optical and digital stabilization, 3-inch LCD display ad packs that all in a compact device that can easily fit in your pocket. And there are some extra features that might be interesting for a lot of users, like Full HD video capture, high-speed shooting mode, easy HDR photography mode and of course the 3D Panorama functionality that seems to be the most interesting part if you are into stereoscopic 3D technology. 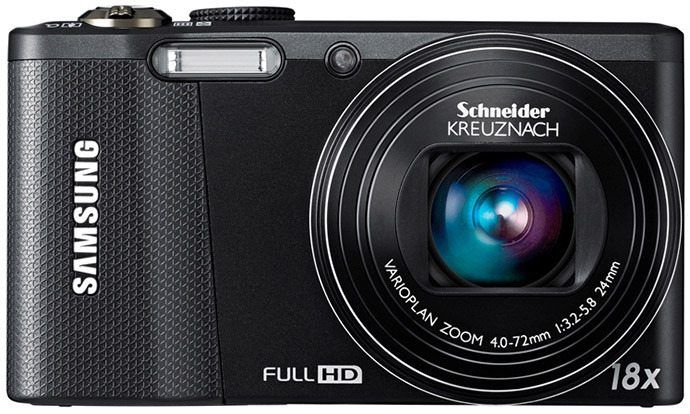 Of course there is nothing much different here as compared to everyone else already supporting similar functionality on their 2D digital cameras, and since the WB750 camera also does not feature a 3D screen, it has an HDMI 1.4 interface that you can use to connect it to a 3D HDTV and preview the 3D photos on it. So you will have yet another option to get a 2D camera with some capabilities of making 3D photos, it seems that this 3D photo functionality is very soon going to become a standard feature. But I’m still wondering why we are not seeing more true 3D-capable digital cameras that use two sensors to capture the two separate images needed for the left and right eye at the same time in order to produce more convincing stereoscopic 3D effect. Still it seems that digital camera makers are interested in adding 3D functionality to their products, they are just taking the easier and cheaper way to do it for now. But yo should be well aware of the fact that these software based 3D photo modes that require you to move the camera and automatically build the 3D photo based on multiple pictures taken are far from perfect. They don’t always offer the same level of depth as a real 3D digital camera can and they are also not able to shoot well scenes with moving objects as well as movies due to the apparent limitations of the implementation used to create the 3D image. So don’t be easily fooled tat getting a digital camera with some sort of a software 3D photo functionality will be the same as getting a real 3D digital camera, although there are still not that much of these available on the market. Is Samsung Also Preparing a 3D-capable Smartphone or Not? The currently available 3D smartphones have set the level high by offering a decent autostereoscopic 3D display, both in terms of image quality and resolution as well as number of viewing positions provided in 3D mode. They also offer a decent resolution and quality for the 3D photos and 3D videos that the users can record with the devices, and then there is also the HDMI 1.4 support for outputting 3D content from the smartphone on a bigger 3D display such as a 3D HDTV. What else can Samsung offer besides these already available features? So it is more likely that Samsung will try to improve on the specifications of their device as compared to the competition, for example better quality and resolution photos and videos by the 3D camera, faster processor, more viewing angles for the 3D display etc. On the other hand the thing that needs the most attention and that continues to be kind of ignored by most smartphone manufacturers is the battery and the battery life that such a powerful device can offer to the users. It is nice to have 3D features, but if you have to charge your smartphone once or even two times a day just to use them, you won’t be very happy, as after all this device is also a phone. I’m not sure if you’ve payed enough attention to that fact, but the LG Optimus 3D has an official talk time of just up to 4 hours with a 1500 mAh battery, the HTC EVO 3D is a bit better probably thanks to the use of a higher capacity battery that is 1730 mAh and it gets you about 7.5 hours of talk time by specs. We’ll have to wait a bit more to see what Samsung will do, but the company will most likely start offering their own 3D solution pretty soon in order not to be left behind by their competition. And a Samsung Galaxy 3D phone built on top of the Samsung Galaxy S II platform or a similar one may turn out to be a really good thing. Let’s wait and see… it probably won’t be long.